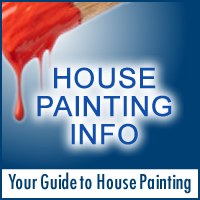 Painting furniture, no matter what type of furniture it is, involves a few steps. The exact number of steps will depend on whether or not the furniture is new, old, finished, unfinished, broken, in great condition, or if it is damaged in any way. Also, the steps to take will depend on the furniture painting techniques you wish to try, as well as the color and type of finish you want the furniture to have when it is completed. It is exciting to paint an old piece of furniture because the piece will look rejuvenated and new once it’s done. Painting is easy if you follow the necessary steps and take your time.